To say the TIMMS makes the impossible possible may be an overstatement. But to say it makes it more achievable rings true. TIMMS – the Trimble Indoor Mobile Mapping Solution – has truly changed the face of how interior spaces are scanned in 3D, allowing laser scan surveys not only in situations that would have been difficult, to say the least, but also in an incredibly time-efficient manner. For Victorian-based Taylors, the first firm in Australia to acquire TIMMS, its adoption has amply demonstrated those qualities – and more. Taylors, with offices in Melbourne, Brisbane, Christchurch and Jakarta, prides itself on being a company on the leading edge of new technology. As Taylors’ Manager – 3D Modelling and BIM, Alastair MacColl explained, indoor laser scanning had been identified as an area of advancement it was particularly keen to explore. Alastair said the firm acquired its TIMMS in January, 2017 and that it had not only demonstrated Taylors commitment to early adoption and investment in new technology, but also allowed it to tender for large, complex projects that may very well have been outside its scope without TIMMS. A prime example of this was a project in the heart of Melbourne’s CBD where detailed interior scans of an entire 30-storey tower were needed for a planned refurbishment. “The building is a mix of hotel rooms and serviced apartments,” Alastair said. “As you can imagine, not only did this involve many, many rooms but also could not be carried out within standard timings. But with the TIMMS, the Taylors team was able to quickly and efficiently scan each room and floor within the specific timings. A job that surely would have taken weeks and weeks using traditional technology was achieved in days. “We were literally in and out of rooms in minutes and with the highly detailed and complex information we needed to create the 3D modelling of course,” Alastair said. “With a tripod-based scanner I would imagine that each room would have taken more than half-an-hour. “Another big advantage the TIMMS had on this job was that we could link each floor in the modelling simply by rolling the TIMMS into the lift after we’d completed a floor and go up or down to the next level. “As we were scanning continuously, this use of the lift created that link on the plans and its elevation. 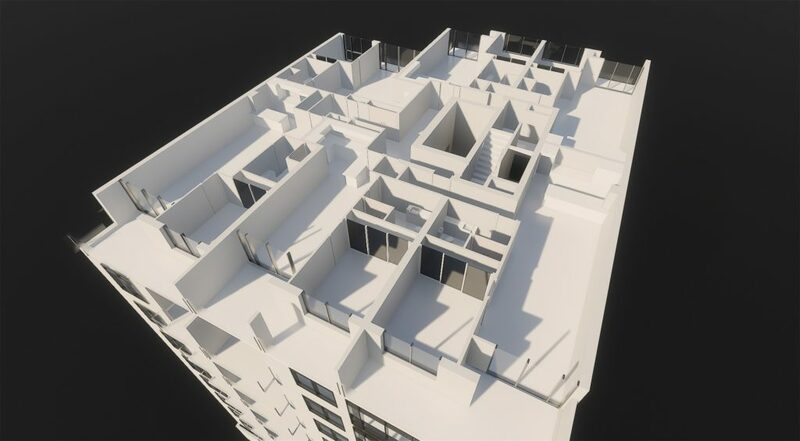 Alastair reports the client was more than happy with the team meeting the access requirements as well as the end result – second-to-none 3D modelling delivered to the project architects in a timely manner. “For Taylors, TIMMS has taken our work and the kind of projects we can complete to a new level,” Alastair said. The TIMMS system is available in Australia through Trimble’s authorised dealer, UPG. UPG’s Martin English said Taylor’s adoption of the TIMMS system had been an Australian first and a massive step forward for this industry in our country. “Taylors is demonstrating that the adoption of this technology means big things for a business,” he said. “It truly is a step into the future and is ensuring Taylor not only remains a competitive operation but is on the leading edge. To take your business to a whole new level too, talk to your UPG rep about how TIMMS can revolutionise how you work.